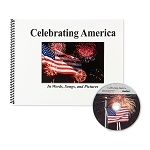 The Fourth of July holiday is a popular time to bring out red, white, and blue decorations and food recipes. It is also a time when family and friends come together to celebrate and enjoy each other's company. 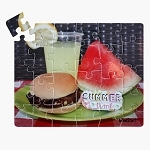 The person living with Alzheimer's, or other form of dementia, may not be able to celebrate in the same way as previous, but these simple activities we selected are 'just right' to do together. 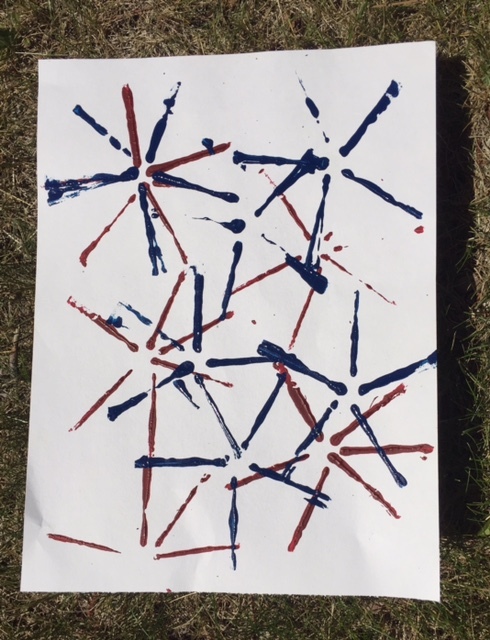 Get a handful of bendy straws, tape, red and blue paint, and white paper to make this fun and easy painting activity! Tape together 5 or 6 straws just below the 'bend'. Make 2 sets of straws, if you want to use one for each color. Or use one set and let the paint mix! 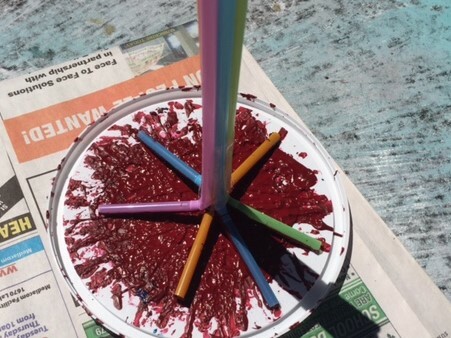 Dip the straw bundle into red paint and then press onto the paper. Do the same with the blue, overlapping the red markings. Hint: You may need to press down each straw end into the paint and then onto the paper, to be sure paint is applying underneath. 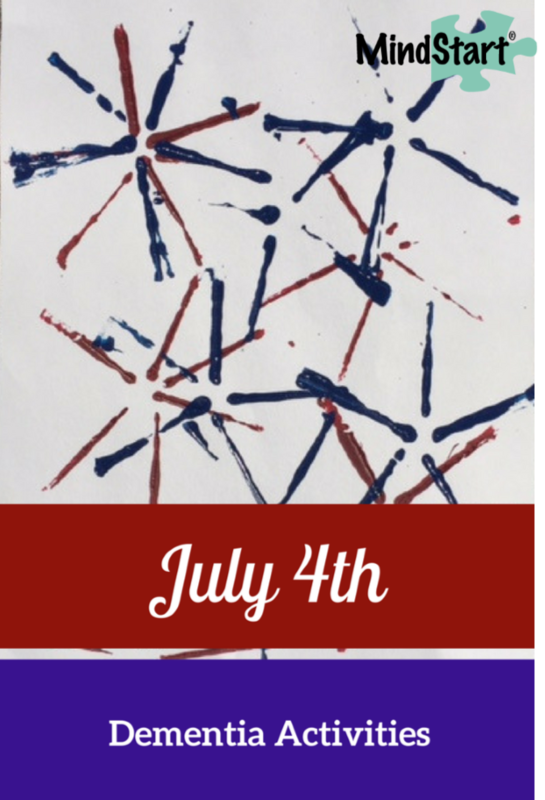 Let the artwork dry and hang as a fun and easy homemade July 4 decoration! 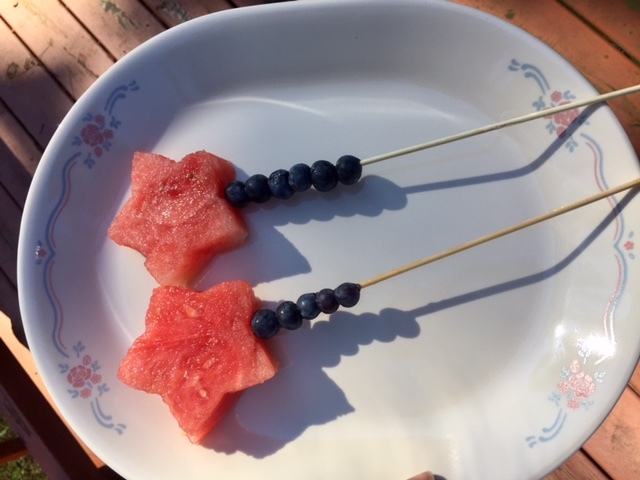 All you need for this patriotic snack is blueberries, watermelon, wooden skewers, and a star shaped cookie cutter. Use the cookie cutter to cut a star shaped piece of watermelon - an easy step for early to middle stage dementia. Push blueberries onto the skewer, about 5 of them - another one step activity good for people with dementia. Push the blueberries down far enough to leave room for the watermelon star at top. Add the watermelon star to the end of the skewer, without pushing it all the way through. Enjoy this July 4 snack that is also refreshing and healthy! See below for July 4 activity products appropriate for dementia. Happy celebrating!